The City of Kaukauna is in compliance with Wisconsin’s “Smart Growth” law for land use planning and resource management. The most recent plan was adopted by the Common Council in January of 2013. The City has a number of natural areas within its park system with habitat for birds including the 1000 Islands Conservancy Zone, Konkapot Creek Trail, Konkapot Preserve and Nature View Park to name a few. Evidence of this comes from an eBird article written by Kaukauna resident and avid birder as well as his patch life list from the community. The City’s main bird habitat, 1000 Islands Conservancy Zone, was set aside in 1969 and continues to be protected from development. The property, including a nature center, is governed by a 9 member committee appointed by the mayor. 1000 Islands Conservancy Zone was also featured in an eBird article entitled “August Hotspot of the Month”. The City also maintains a two acre native prairie restoration area known as the Konkapot Preserve atop a closed landfill. An additional 18+ acres of grass top cover is also present. The native grass area is burned every other year to generate the prairie. The City recently acquired about one mile of rail line along the Fox River from the CN Railraod. This will allow the City to remove invasive plant species, replant native plants, and establish nature viewing areas, particularly for migratory waterfowl. The City has entered into negotiations to acquire additional acres for wetland restoration and habitat renewal. All of which would adjoin new residential development. Kaukauna has adopted a program whereby bee keeping is being established in certain parks and retension pond areas to help pollinate plants to the benefit of bird and insect populations. The Konkapot Preserve is a two+ acre prairie restoration completed under the management of McMahon and Associates wetland and vegitation specialist. The restoration is part of the cap for a closed private landfill of 20 acres. The City has also placed signs identifying the plant species as the site is accessable to the public via walking trails. City Crews and volunteers removed Buckthorn and Queen Anns Lace to allow more bird friendly vegitation to take hold. In cooperation with the DNR the City established a Purple Martin nesting area adjacent a restored small prairie area. This is part of a hydro electric facility that will involve future educational signage. A filled in power canal of the Fox River was planted with native grasses. The City of Kaukauna continues to be recognized as a Tree City USA by the Arbor Day Foundation following its initial award in 1993. The American Bird Conservancy program, “Cats Indoors” is promoted on the 1000 Islands website. There is a link from the City of Kaukauna website as well as the 1000 Islands Environmental Center website, providing the information for the entire community. 1000 Islands also regularly hosts wildlife rehabilitators to come in for educational programming often including the importance of keeping cats inside. The City of Kaukauna as well as 1000 Islands Environmental Center website includes a page of information for property owners and other individuals regarding protecting birds from window strikes as well as contact information for licensed wildlife rehabilitators in the area to seek help for window strike or other bird and wildlife injuries. Beginning with our International Migratory Bird Day celebration we have also begun to stock Window Alert clings in our small gift shop so that city residents and visitors have access to window-strike deterrents. The city of Kaukauna helps educate residents on landscaping for birds as well as other bird friendly practices in a number of ways. The 1000 Islands Environmental Center website has a page dedicated to giving nature a helping hand. As the City of Kaukauna has recently created a new website, we are currently working on a section dedicated to tips for homeowners to create a healthier habitat for birds similar to the 1000 Islands page as well. In the meantime, residents can learn ways to help migratory birds through our Bird City page. In addition to web links, Kaukauna also incorporated bird friendly habits, like landscaping with native plants in our Earth Day Celebration activities. 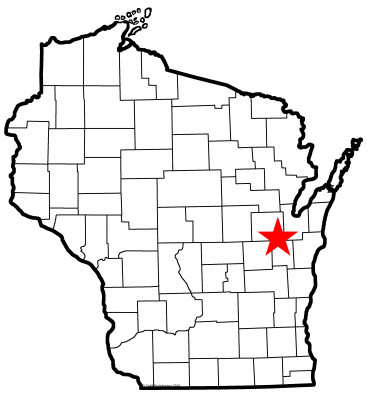 The western portion of the City is included in the Appleton Christmas Bird Count Circle (WIAP). Although 1000 Islands is not technically within the circle, it is still included in the count annually, as the data is helpful to the research and geographically, it is difficult to include the remaining portion of the city in a circle without overlapping with the neighboring Green Bay (WIGB), Stockbridge (WISE) and Menchalville (WIMV) circles. The City of Kaukauna hosts an annual celebration of the Bald Eagles that winter along the Fox River. The Eagle Days celebration began in 2012 and is a free public education event for people throughout the local, regional communities to view and learn more about bald eagles. The annual celebration focuses on viewing sites, formal presentations on the past, present and future of bald eagles, and live bird programs. F. Demonstrate that your community understands the critical ecological role of pollinators by documenting your Bee City USA status or by describing another substantial effort to promote pollinator health (for ideas visit the Xerxes Society and the Pollinator Partnership). In 2018 the City of Kaukauna adopted an ordinance allowing for homeowners to maintain a limited number of bee hives. The City, as described earlier, sought bee keeping experts to operate in certain parks for the education of the public and to provide for the pollination of plants. The City of Kaukauna and the Village of Little Chute in cooperation with Outagamie County will be constructing a boardwalk accross the Fox River connecting by bike trail the communities two downtowns. In addition to the boardwalk the City will be adding over a mile of new trails along the Fox River. The City of Kaukauna owns and operates several Hydro Electric facilities. A recent renovation to one plant added about 20% more production of renewable elecric to the local power grid. The City recently completed a new Municipal Building and Fire Station. Both buildings are heated and cooled by use of geothermal wells. Aditionally, both buildings have several banks of solar panels on the roof. Records indicate that at times the Municipal building has produced more electric than it used (rare occation). The City established one of the first Property Assessed Clean Energy (PACE) prorams in the State. This program helps businesses to reduce energy consumption by providing low interest municipal loans to install high energy efficient products and/or renewable energy products. On January 3, 2017. The City of Kaukauna Common Council approved resolution no. 4072 designating May 13, 2017 as International Migratory Bird Day. On May 12, 2016 the 1000 Islands Environmental Center held an International Migratory Bird Party in cooperation with the Kaukauna Public Library. The program consisted of games, stories and crafts that are not only fun but help to understand the importance of our migratory birds. The City adopted the IMBD Resolution for 2018 on January 16, 2018.